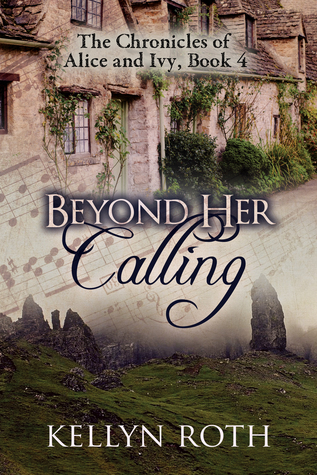 I have a very exciting author interview with Kellyn Roth today, in celebration of her new release, Beyond Her Calling! Let’s jump right in because you’re going to love this! While writing Beyond Her Calling, which character could you strongly relate to? Honestly, I didn’t relate greatly to Ivy or Jordy. Both of them were loosely based off two of my friends (in real life), and neither of my friends are very like me – nor are their struggles. Jordy is a bit more like me in thought process, though, hehe. As an historical fiction author, what kind of research do you do, and how long do you research before writing your story? At this point, I’m honestly just researching a few specifics related to random things for each story and leaving the rest to chance/my former knowledge of the era. When entering a new era, I’ll read a combination of books (fiction and nonfiction) about it or written during it, do a ton of Google searches, ask a gazillion questions of my history nerd (meant as a compliment) friends, etc. But by now, I really understand the Victorian era fairly well. For Beyond Her Calling, I did some research on medical degrees, bipolar disorder, and regions of Scotland then watched five YouTube videos/read a couple blogs on Scottish accents while writing and called it good until the second draft! What was the most difficult thing about writing Beyond Her Calling? I’m very tempted to say the Scottish accents. Those were hard to pin down! How much do you write? Is the dialect correct for the region? Will the reader even be able to decipher what they’re saying? It was a delicate balance. But I think it was also very hard to portray a grownup Ivy. At least, it took me a while to pin it down! Do you write each novel as a standalone, or do you feel the series could be more appreciated as a whole? My goal with my stories – all of them! – is to write novels that a person could pick off a bookshelf, regardless of what order, and enjoy. I think the books before it and even after it will deepen peoples’ understandings of the characters, but I think the books can be equally enjoyed as standalones as they can as series. When your readers finish Beyond Her Calling, what’s one thing you pray they take from the story? Seriously, though, I hope they take away that everyone is valuable and beloved by God and everyone can succeed at whatever they put their mind to IF they’re relying on Jesus Christ as their strength. But … our plans may not be His, of course, and we need to accept that (as we found out in At Her Fingertips). In truth, I’ve been enjoying exploring different aspects of God’s plans for us in this series! It’s a heavy theme, but it’s not a particularly dark one, which is a nice as the next two books in The Chronicles of Alice and Ivy will feature some challenging topics, including but not limited to adultery, miscarriage/stillborn children, suicidal thoughts and extreme depression, and the forgiveness and/or healing aftermath. Let’s just say I have my work cut out for me if I’m going to portray these in a Christ-like manner! If you’re interested in Beyond Her Calling, I will tell you it is one the sweetest books you’ll read. I definitely enjoyed the characters and setting! Thanks for stopping by, and be sure to visit the rest of the blog stops! HAVE YOU READ BEYOND HER CALLING? DO YOU WANT TO? IT IS ALMOST CHRISTMAS, SO BELIEVE ME, THIS IS THE PERFECT GIFT!